I hope everyone had a great weekend. Today, I’d like to introduce you to one of the most encouraging and helpful people I’ve met online. Jill Kemerer. As a newbie to blogging, I discovered Jill and emailed her with a few questions after commenting on her blog a few times. She was eager to jump in and answer them all thoroughly. She’s fun and super-genius, as well as organized and an all around sweet person. I’m so glad that I’ve connected with her. Jill writes sweet, emotional, sparkling inspirational romance novels. So without further ado, everyone meet Jill. Jill, meet everyone, and tell them a little bit about yourself. Thanks for having me, Jessica. Since I adore reading romances, it was only natural for me to gravitate in that direction when I started writing. It took a few books to hit on my ideal genre, and I’ve found my home writing inspirational contemporary romance novels. Besides writing, I’m blessed with a hilarious husband, and I’m the mom-shuttle for our energetic children. Thanks for being here! So tell us, when did you get the writer’s bug? Has it always been something in you? Did you pen your first story with a jumbo crayon? Looking back, I’d say I was always infested with the writer’s bug. As a kid I wrote a short series of stories about my cousins before creating a ridiculous magazine, which I recently found. Yikes. Yes, crayons were involved! But I never considered writing as a career until I quit my job to stay at home with our oldest. It still seems like a magical fantasy some days, you know, like acting in movies. It does seem magical. Sometimes, I pinch my husband to be sure. I don’t like inflicting pain on myself! When you write, do you snack? If so what do you munch on? I try not to. I’ll wolf anything down if I’m engrossed in either writing or reading, so I stick to beverages. 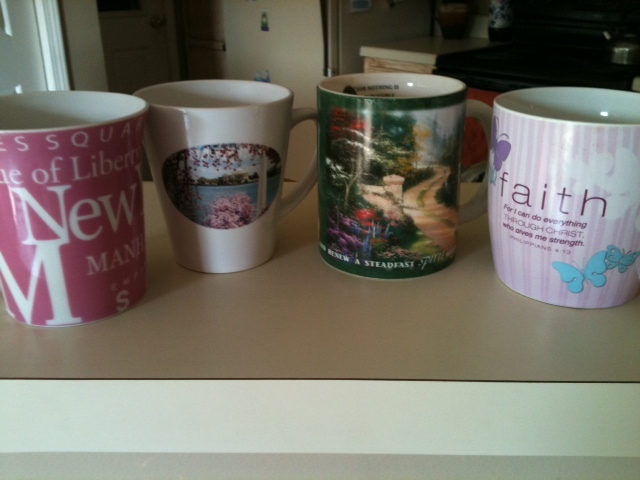 Coffee, tea, water and soda. What do you love most about writing? I love allowing my characters to express themselves on the page. When I develop an idea for a book, I spend the most time on the characters. It isn’t until I’m actually writing, though, that their true, full personalities shine through. It’s always a delight getting to know them. What do you find most challenging?The most challenging? Forcing myself to start each day. It doesn’t matter what phase I’m in—plotting, writing the first draft, revising, or creating the proposal—all paralyze me until I sit down and begin. Oh, love this question. I keep my mind open at all times. If I see something on a television program that could be incorporated into a story, I write it down. If I read an inspiring article in a magazine, I clip it. A friend gave me a beautiful journal a few years back. It’s my idea journal. All snippets of ideas get jotted down there. I need an idea journal. I have post-its everywhere. I’ve even jotted a note in the back of my bible during a Sunday service once. 🙂 If you could be one hero/heroine from a book who would you choose and why? This is a tough question! I have two—one is a historical figure from the Bible, Esther. Her faith and integrity have been an inspiration to me all of my life. The other? Jane Eyre. Her conviction in following her own truth speaks to me. I admire anyone who does what is difficult because it is right. I admire Esther, too! I always wonder what the few things she was given to take with her to the king were. So what about villains? Who would you be if you had the choice of any bad guy/girl?I was always the goody-two-shoes in games growing up! I’d have to say the captain in Treasure Island, what’s his name? Long John Silver? His charisma masked his evil intent. Ah, deception. Perfect evil! I love it. Okay, in books. Not in real life! What are you currently working on?I’m lengthening a short novel to a full-length single title novel. What a blast! I love these characters. The thought of exercising with a gorgeous personal trainer makes Darcy Collins break out in hives. But when Ian Halbrook asks her to mentor his withdrawn twelve-year-old daughter in exchange for training sessions, how can she say no? Sweet, shy Michaela clearly needs a woman to talk to, and Darcy yearns to get in shape. A barter arrangement with compassionate Darcy seems perfect—Ian gets a feminine influence for his daughter without the emotional baggage a girlfriend would bring. But he never anticipated that he and Michaela would grow so attached to the spunky hairstylist. Attached enough to consider revealing his guilty secret. Neither bartered for love, but with Ian by her side, Darcy just might accept herself…for better or for worse. You can connect with Jill by facebook, follow her on twitter,visit her blog–you’ll learn a lot–and her website. Jill, thanks so much for coming and for being such a good friend! Before you go, would you like to ask everyone a question? Okay, I think it’s safe to say that everyone has some kind of quirk. The older I become, the worse I seem to get. You? Don’t lie. Here are my top 3. I don’t have all day, so I’m only sharing a small percentage of weird things I must do. 1. 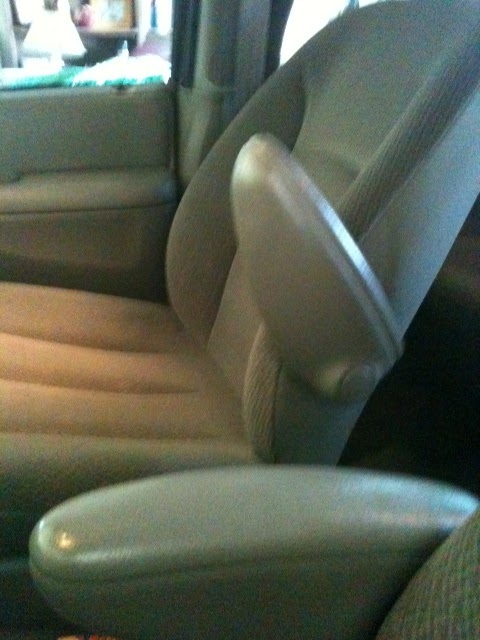 If one arm rest is down in the mini-van, then the other one has to be. I can’t handle the driver’s side up while the passenger is down or vice versa. And really, neither can be up. They have to be down. Also, it doesn’t matter whose van we’re in. 2. 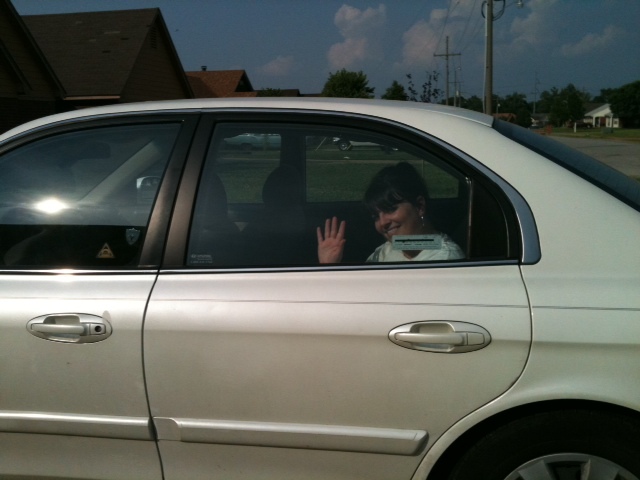 If I’m going to ride in the back seat of a vehicle, it has to be the driver’s side. I hate the middle or the passenger side. My sister says it’s because I want to see myself in the rear-view mirror. I disagree, as some drivers are tall. So it can’t be that. So…what are some of your quirks? You have to have some…it’s the new normal. Have a great weekend and don’t forget to show up Monday, and meet Jill Kemerer!